We are based out of the historic district of Hemet, but we welcome an opportunity to service most areas in the Inland Empire such as San Jacinto, Sun City, Murrieta, Temecula and so forth. Here's a little history of Hemet and why we chose to locate our Estate Sale Service in this beautiful valley. The Cahuilla tribe were the initial inhabitants of the Hemet area. During the early 19th century, the land was used for cattle ranching by Mission San Luis Rey, which named the area Rancho San Jacinto. In 1842 José Antonio Estudillo received the Rancho San Jacinto Viejo Mexican land grant. In 1887, during the first major Southern California land boom, W.F. Whittier and E.L. Mayberry founded the Lake Hemet Water Company, the Hemet Land Company, and the city of Hemet. In 1895, the Hemet Dam was completed on the San Jacinto River, creating Lake Hemet and providing a reliable water supply to the San Jacinto Valley. This water system was a major contribution to the valley's development as an agricultural area. The area's original inhabitants, the Soboba Cahuilla were moved to the Indian reservation near San Jacinto. 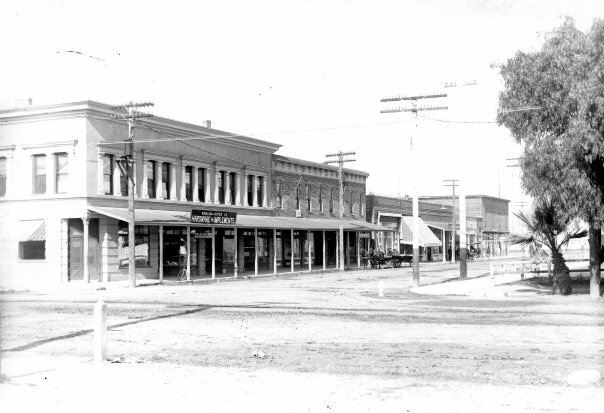 The City of Hemet was incorporated in January 1910. 130 out of 177 residents voted to incorporate, with 33 votes against.Those who voted against incorporation were landowners who feared increased taxation. The incorporation helped to serve the growing city which was outgrowing its current infrastructure. Served by a railroad spur from Riverside, the city became a trading center for the San Jacinto Valley's agriculture, which included citrus, apricots, peaches, olives and walnuts. The city has long hosted the Agricultural District Farmer's Fair of Riverside County, which began in 1936 as the Hemet Turkey Show, now located in Perris. During World War II, the city hosted the Ryan School of Aeronautics, which trained about 6,000 fliers for the Army Air Force between 1940 and 1944. Hemet-Ryan Airport exists today at the site of the flight school. In 1950, Hemet was home to 10,000 people, joined Corona as the third largest city in the Riverside area. In the 1960s, large-scale residential development began, mostly in the form of mobile home parks and retirement communities, giving Hemet a reputation as a working-class retirement area. In the 1980s, subdivisions of single-family homes began to sprout up from former ranchland, with "big-box" retail following. After a roughly decade-long lull in development following the major economic downturn of the early 1990s, housing starts in the city skyrocketed in the early 21st century. The area's affordability, its proximity to employment centers such as Corona, Riverside and San Bernardino, and its relatively rural character made it an attractive location for working-class families priced out of other areas of Southern California.